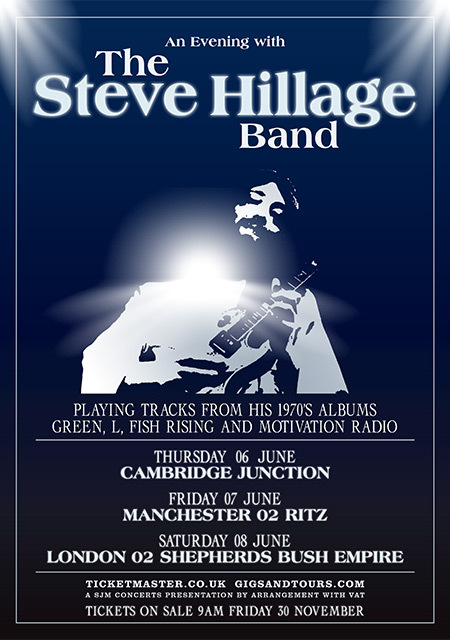 Acclaimed musician Steve Hillage has announced the live return of The Steve Hillage Band for June 2019 performing tracks from his classic 70s albums ‘Green, L, Fish Rising and Motivation Radio. "I put an enormous amount of energy into the ‘Searching For The Spark’ box set, and I intend to put the same amount of energy into these live shows. I’ve got fantastic musicians working with me - these shows are going to be really special!"